Shiva Rose, a leader in the all-natural beauty and lifestyle space, began her wellness journey two decades ago following a devastating autoimmune diagnosis. She turned to Ayurvedic medicine, Kundalini yoga, and her own backyard, where she sourced botanicals from her garden to craft nontoxic tonics and lotions. 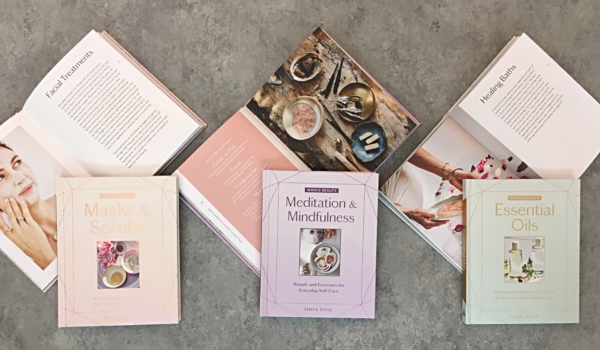 Rose now shares her expert knowledge and healing practices in three approachable must-have books: Masks & Scrubs, Mindfulness & Meditation, and Essential Oils. With each book, Rose leads readers through the secrets she has discovered for radiant beauty inside and out, and reveals how women can reconnect with themselves and the natural world through self-care. Whether you are simply looking to change your beauty routine or want to embark on a transformative wellness journey, the wisdom Shiva Rose provides in this trio will help you to discover abundance and happiness that will revitalize your life.